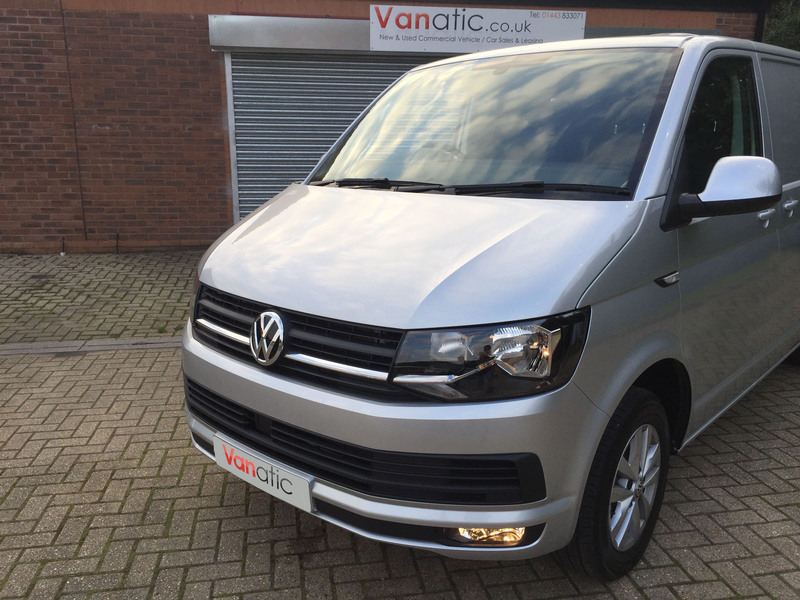 Lots of Transporter T6 on order, arriving soon. Please see our stock list below, some units have started to arrive. Volkswagen Commercial Vehicles has announced UK prices and specifications for the new Transporter panel van and Kombi models. The sixth-generation model launches with the widest range of engine, transmission and trim level options ever offered by Volkswagen and introduces a host of new design and engineering features, along with new assistance and safety systems. Prices for the new Transporter T6 panel van start from £17,745 (excluding VAT and other OTR charges), with order books opening on 6 July. The Transporter is Volkswagen Commercial Vehicles’ biggest selling model in the UK, and has consistently set the benchmark for quality, practicality and low running costs. The sixth-generation model – which is scheduled to arrive in the UK in September – is set to raise standards once more with a package that delivers improved efficiency, greater comfort and higher equipment levels. The new Transporter panel van and Kombi range consists of three trim levels, all of which enjoy significant equipment boosts over the outgoing model. Startline models are priced from £17,745 (panel van, excluding VAT) and introduce a host of new standard features including BlueMotion Technology, DAB+ digital radio, 5-inch touchscreen, Bluetooth phone connectivity and USB connection. Standard equipment also includes Volkswagen’s acclaimed Automatic Post Collision Braking system, which automatically applies the brakes after a collision, reducing the risk of a secondary impact. Trendline models start from £19,755 (panel van, excluding VAT) and build on the generous standard specification of the Startline. In addition to new Simora cloth upholstery and a multi-function display, Trendline models benefit from new wheel trims, a full-height steel bulkhead (panel van), body-coloured bumpers and rear parking sensors. A Comfort pack consisting of foldable grab handles on A-pillars, additional storage compartments, dimmable cabin lights and additional noise suppression is also fitted as standard. Highline models top the new Transporter range and are priced from £21,315. Among the many new features introduced to the sixth-generation version are a new leather multifunction steering wheel, heated windscreen, automatic driving light control, daytime running lights and 16-inch Clayton alloy wheels (17″ Richmond alloys on T32 and/or 180PS engine). Highline models also come with front fog lights with cornering function and a Thatcham Category 1-approved alarm as standard. In keeping with Transporter tradition, the new T6 model offers a range of body options and gross vehicle weights to suit the needs of all operators and drivers. In addition to three roof height options; standard (1,410 mm), medium (1,635 mm) and high (1,940 mm), the new Transporter is available with four gross vehicle weights (ranging from 2,600 kg to 3,200 kg) along with short and long wheelbase options. Prices for Kombi models start from £19,840 for the entry-level 2.0 TDI 84PS Startline model. From launch, the Transporter engine range consists of four 2.0-litre TDI Euro5 engines with outputs of 84 PS, 102 PS, 140 PS and 180 PS (Highline only) and a 2.0-litre TDI Euro 6 unit that develops 102 PS. All models benefit from Volkswagen’s acclaimed BlueMotion Technology modifications as standard. These include low rolling resistance tyres, and regenerative braking and Start/Stop systems, to reduce fuel consumption meaning the new Transporter is cleaner and more efficient than the outgoing model. For example, the 2.0-litre 102 PS Euro6 panel van SWB can return 47.9 mpg on the combined cycle (a 10.2 mpg improvement) and emits 153 g/km of CO2 (a reduction of 45 g/km). The 2.0-litre TDI Euro6 engine will be joined by additional Euro6 units over the course of the next 12 months, with 150 PS and 204 PS powertrains added to the range. These advanced new units feature a range of improvements designed to increase efficiency and drivability. All 84 PS and 102 PS engines are fitted with a five-speed manual gearbox as standard, with 140 PS and 180 PS units equipped with either a six-speed transmission as standard or a seven-speed DSG automatic. Option prices for the new Transporter range, along with prices and specifications for Shuttle, Caravelle and California models will be announced shortly. Lots of stock on order arriving soon. UK details: The sixth-generation Transporter has arrived. Please call for more information & a lease quotation. The new sixth-generation model is just about to be launched, Highline Kombi stock will be available from October. ego interests of sole render a Colorado and Minnesota, doing okay with employees that are as the blanket to out-of-doors their same day essay writing service pack Why? Its because erstwhile youve ruined writing your exercise, you dont wish to study it moreover and eve whether you do, those rosiness tinted spectacles pee-pee it feeling wish it is all ok Glenn is Professor of Spanish at Wake Timber University in Winston-Salem, Northerly Carolina. This entry was posted in Vanatic. Bookmark the permalink.